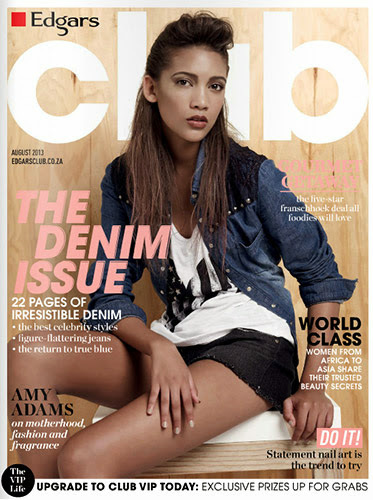 Kiehl's Ultra Facial range has launched a range of summer-friendly skincare products for oily skin. There's the Ultra Facial Oil-Free Gel Cream (essentially a moisturizer but in a gel form), the Ultra Facial Oil-Free Toner, and Ultra Facial Oil-Free Cleanser. With a cleanser, a toner, and a moisturizer, Kiehl's obviously has all 3 basic skincare steps down. This is going to be a fairly long review, because you know how I get all long-winded with ingredients and stuff, and furthermore, there are three separate products to review! So, without further ado, let's hop straight into the meat of the review - we certainly wouldn't want to waste any time on more preambles now! First, let's start with the very first step - the Ultra Facial Oil-Free Cleanser! And let's look at the ingredients list. The cleanser starts off with water, and then there's Glycerin, which is a humectant. After that are a bunch of surfactants (Myristic Acid, Palmitic Acid, Stearic Acid, and Lauric Acid, which are all various types of fatty acids), and perform the actual cleansing function. Potassium Hydroxide is usually used as a pH adjuster, but could also be another surfactant. So the bulk of the product, as you might expect, is primarily cleansing agents. After all the surfactants, there are a couple of emollients, namely Glyceryl Distearate and Glyceryl Stearate. There are also some plant extracts (Imperata Cylindrica Root Extract, Pseufoalteromonas Ferment Extract, Cucumis Satinus Juice/Cucumber Fruit Extract) in small amounts. 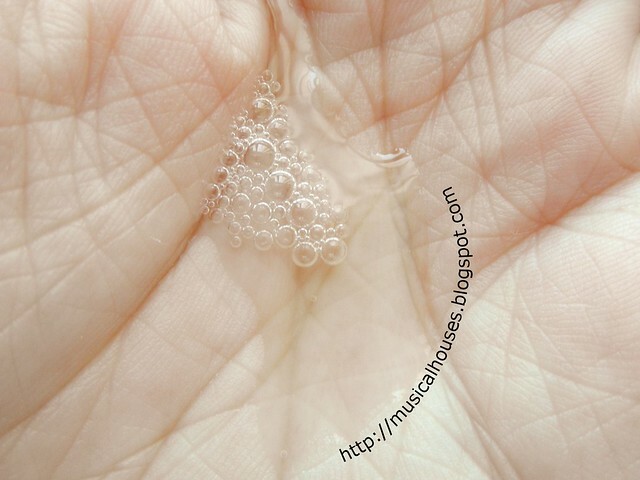 In cleansers, both Myristic Acid and Palmitic Acid can be a bit drying for skin depending on the formulation so this is probably a product best suited to oily skin. Kiehl's Ultra Facial Oil-Free Gel Cleanser ingredients: Some potentially harsh surfactants make this more suitable for oily skin types. When I tried out the product, my experiences were in line with what was in the ingredients. I found that the Ultra Facial Oil-Free Cleanser foams and lathers up very well, and rinses off cleanly. In fact, perhaps it cleans too much - I found it left my skin feeling tight and dry, which, to be honest, I didn't like very much. I suppose I'm no longer a teenager with oily skin (far from it, alas!) so perhaps I'm really not the intended target market for this product. If you had introduced this to a teenaged me, though, I would have loved it very much. I actually had very oily skin as a teenager, and my skin then seemed to be producing oil ALL THE TIME (like barely a few hours after washing my skin would look like it needed another wash, and this seemed to be the case regardless of which cleanser I was using - mild or strong), so something like this would have appealed to me. But as it is, with my age now (I'll be 30 in a few years! 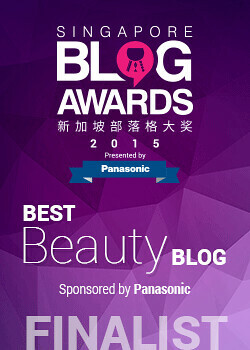 ), I don't think this is the best product for my skin. It may appeal to others, though. Kiehl's Ultra Facial Oil-Free Gel Cleanser: It lathers and foams well, rinses off easily, and leaves skin squeaky-clean. Next, the Ultra Facial Oil-Free Toner. This is a fairly straightforward product, ingredients-wise (as most toners are). It starts off with water and Glycerin, which means it would have humectant properties. Then there's Propanediol, which has a few functions - it's a humectant, but also a preservative, and a solvent. These are probably the largest components of the toner, because after this come the preservative, which is Phenoxyethanol. Phenoxyethanol is typically used in cosmetics and skincare at a concentration of under 1% (this is pretty much true all around the globe, including Japan and Europe, as well as in the US). Since ingredients are listed in decreasing order, it's safe to say that all the ingredients that appear after Phenoxyethanol are at concentraations of less than 1%. So while the product contains some plant extracts (Imperata Cylindrica Root Extract, Pseufoalteromonas Ferment Extract, Cucumis Satinus Juice/Cucumber Fruit Extract), these are probably in fairly low concentrations. On the bright side, the simplicity of the formulation means that this is unlikely to cause any form of skin irritation for most people. 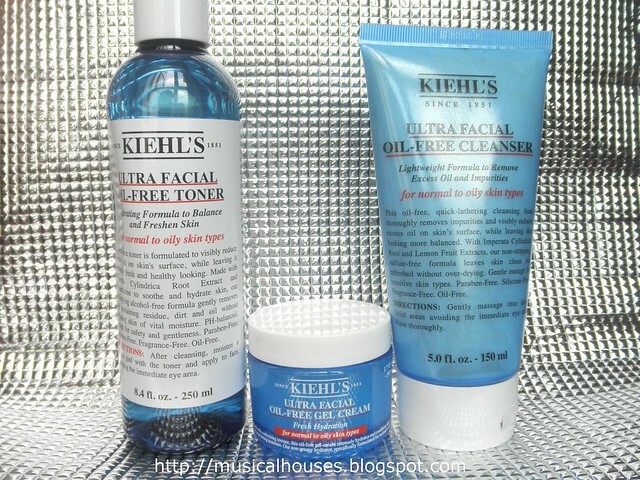 Kiehl's Ultra Facial Oil-Free Gel Toner ingredients: Water and Glycerin ensure humectant benefits without irritation. As a result, my experience with the Ultra Facial Oil-Free Toner was also a bit on the "meh" side. It had a smell that was vaguely sweet and botanical, like the cleanser. I found it helped to hydrate my skin, and was useful after using the cleanser, but beyond that, I didn't feel that it had much effect. To be fair though, I don't always use toners and generally find it hard to be impressed by one, and this is because I don't always see the need for them as part of my routine. And most of the toners I see are formulated pretty much like this - water, humectants, maybe some emollients, (some will have alcohol in there for oily skin) and that makes up the bulk of the product. I suppose it depends on what you want out of your toner, because different people want different things. Some people want their toners to serve a double-cleansing function (i.e. get rid of makeup your cleanser missed), which might be helpful if your cleanser isn't particularly strong. Some people want their toners to balance their skin after cleansing, which usually means after a harsh cleanser, they want a toner that will make their skin feel less tight. Yet some others, comparing their toners to Japanese lotions, demand skincare benefits (anti-aging, whitening, you know the drill) out of their toners. For me, regardless of what type of function the toner does, I've never been swayed very much by any one product, although I have liked a few here and there. So, if you fall into the second group of people that want a toner that will rebalance the skin and hydrate it after a harsh cleanser, then the Ultra Facial Oil-Free Toner will probably work for you. But I wouldn't expect it to perform any functions beyond that. Kiehl's Ultra Facial Oil-Free Gel Toner: A fuss-free, sweetly-scented toner. Water, Glycerin, Alcohol Denat., Propanediol, Glycereth-26, Isononyl Isononanoate, Ammonium Polyacryldimethyltauramide/Ammonium Polyacryloyldimethyl Taurate, Imperata Cylindrica Root Extract, Phenoxyethanol, Sodium Benzoate, etc. As you can see, after the familiar start of water and Glycerin, there is Alcohol Denat. in the product. Then there is Propanediol, and a couple of ingredients with humectant (Glycereth-26) and emollient (Isononyl Isononanoate) properties. There is also Ammonium Polyacryldimethyltauramide/Ammonium Polyacryloyldimethyl Taurate, which serves as a viscosity controller (so your product isn't too runny or too thick but just nice), and the plant extract, Imperata Cylindrica Root Extract. Phenoxyethanol and Sodium Benzoate that are in concentrations of under 1%. After the preservatives, there also some other plant extracts and skin-friendly ingredients (Pseufoalteromonas Ferment Extract, Cucumber Fruit Extract), probably again in low concentrations. Again, this is clearly a product for oily skin. 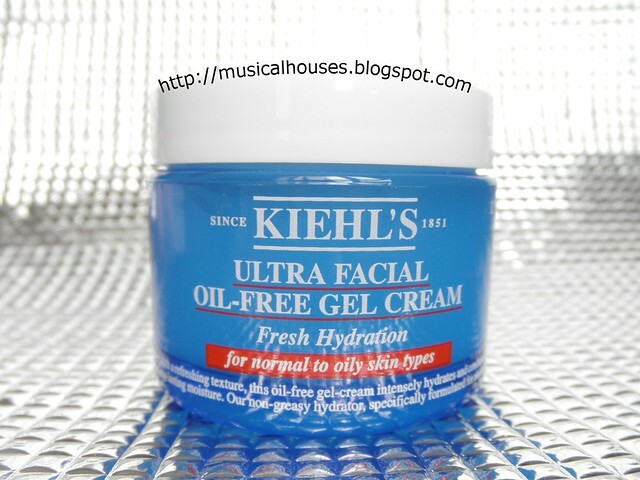 Kiehl's Ultra Facial Oil-Free Gel Cream: It appears to be best suited to oilier skins. And what I wrote is still true. So even if a product has alcohol in it, I don't write it off immediately without looking at what role it plays in the formula. In some previous products I've seen, including my recent review of Kiehl's recent Micro-Blur Pore Perfector, I'm comfortable with the alcohol present in the product, as it is fairly low. In the case of the Oil-Free Gel Cream however, I do think that the concentration of alcohol seems to be on the high side, as it is the third ingredient on the list. So I have mixed feelings about the percentage of alcohol that appears to be in the product - it does seem quite high to me, and could end up drying out some skin types that are sensitive to alcohol, or on the dry side. Kiehl's Ultra Facial Oil-Free Gel Cream: Despite my fears, it wasn't too drying for my skin, but it may not be everyone's cup of tea. So how does this work when I use it? 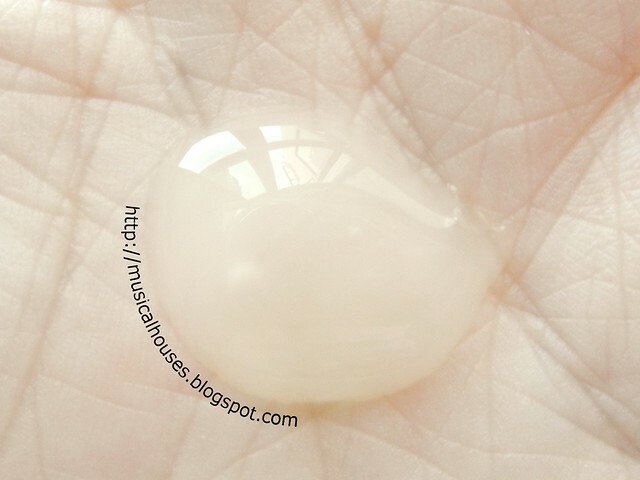 I found the Ultra Facial Oil-Free Gel Cream to be an interesting product, not just from a formulation perspective, but also from an aesthetic one. It feels substantial as you apply it, kind of like a cream, but the texture on my skin once applied is actually much lighter, like a gel. I don't have much sensitivity to alcohol, so for me, although the alcohol is there, it didn't feel very drying to my skin. Sure it's not the most moisturizing cream I've used (and if you want a very moisturizing cream, Kiehl's does have plenty of others, including the ), but it didn't dry me out spectacularly like I feared it would. In terms of feel on the skin, I would say this is heavier than most of the Japanese brand lotions I've tried, as it leaves behind more residue, but it is lighter than most face creams. Although my skin didn't have any negative reaction to it, I would probably peg this as an "best for oily skins" type of product, and I'd be cautious about this if I had very dry skin - I'd probably want to try a sample first before buying the full size. But for those with oily skin, and who have no issues with alcohol, then this could be a product that works. Kiehl's Ultra Facial Oil-Free Gel Cream, Cleanser, Toner: Probably best for those with oily skins, or living in hot, humid climates. So all in all, what do I think of this range? 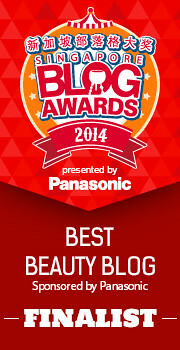 In less than five words, I think I could sum it up: "Best for oily skins". But that's not particularly comprehensive, so I'll elaborate. Out of all three products, perhaps the only product I'd say works on all skin types would be the Oil-Free Toner, because it doesn't contain any ingredients that could be potentially drying. The other two products, however, seem to be formulated as hot-summer-weather type products, which means those that live in hot and humid climates, who might find other richer products too much, would probably appreciate the lightness of the range. Also, those with oily skins would also not mind the formulations - some people like their cleansers squeaky clean, and some people like their moisturizers to feel as lightweight as possible. This also means that if you're someone with dry skin, or who spends most of your time in a cold, dry climate, unfortunately this range probably wouldn't be what you're looking for. I generally love Kiehl's products, as you can tell from my previous Kiehl's reviews, so this is probably the first time their product isn't my cup of tea, with my starting-to-age and starting-to-dry-out skin (sigh, the woes of approaching 30). But, it will probably work much better on someone who is oilier than I am, and/or younger than I am. The Bottom Line: With lightweight textures and formulas that might potentially be drying to some skin types, Kiehl's Ultra Facial Oil Free range of Gel Cream, Cleanser and Toner seem formulated specifically for hot, humid weather, and oily skins, and would suit such consumers best. 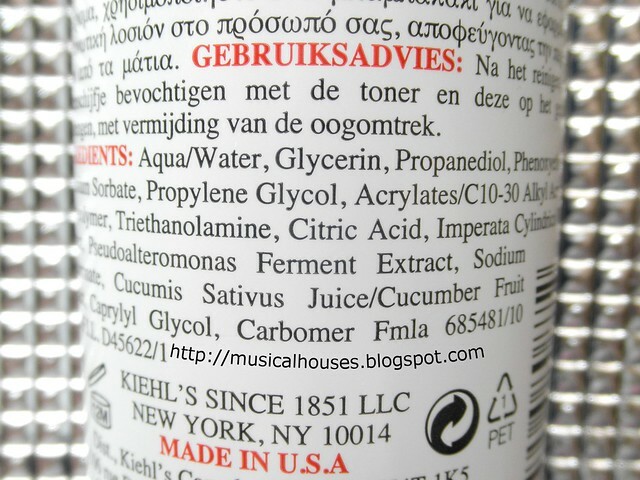 I find that a lot of Kiehl's toners and moisturizers contain potentially irritating ingredients, such as urea (in my case it causes redness and a burning sensation on the skin) or alcohol...They seem a bit overpriced, too. 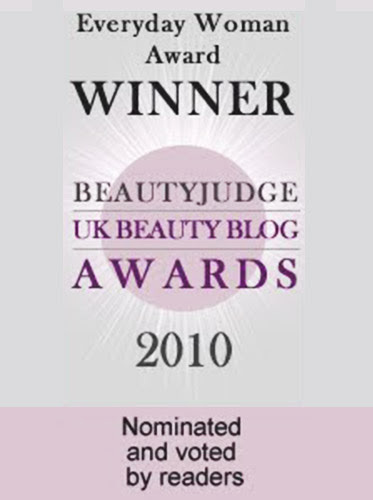 I adore their Midnight Recovery Concentrate, it works wonders on my skin overnight, but other products (mostly samples) I've tried so far either irritated my skin or were too heavy and greasy and gave me a lot of new bumps and clogged pores...I haven't tried everything obviously, so there must be some good products out there, apart from MRC I'm not impressed with their skincare. Sorry, but I find your information very misleading. Potassium Hydroxide is not a surfactant. It is a neutralizing agent for the fatty acids you mentioned (which are not surfactants either). They become saponified in the formulation and then make up the surfactants, but on their own, they are by no means surfactants. Also, Glyceryl Distearate and Glyceryl Stearate are not there for the emolliency. One gives it that pearl look you see, and the other one is an emulsifier to incorporate your oil into the water. Realistically speaking, this is for oily skin because it lacks that extra emolliency you find in other my hydrating formulas. As for Myristic and palmitic acids being harsh on your skin-no. If anything is harsh on your skin it is the high pH of that product considering it has KOH in it. 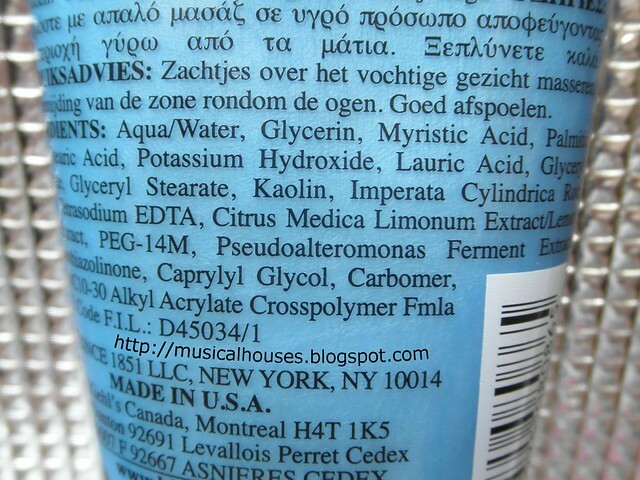 Myristic and Lauric acid are more closely resembled than palmitic and stearic acid. 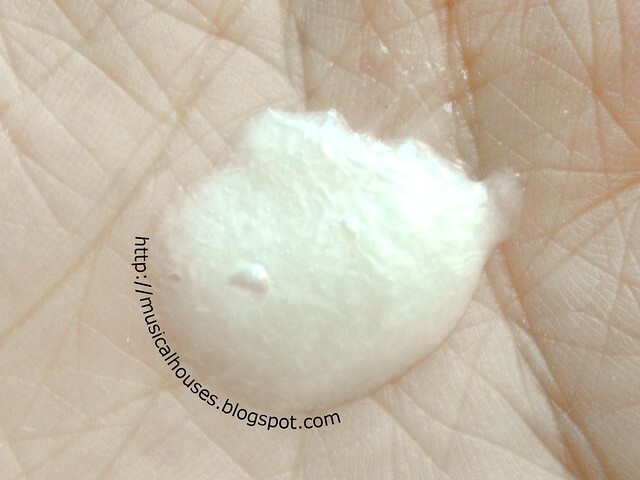 If anything the myristic and lauric give it that foam/lather and the palmitic/stearic give it that cream consistency, so neither one of those 4 is going to give you a harsh feel for your skin.